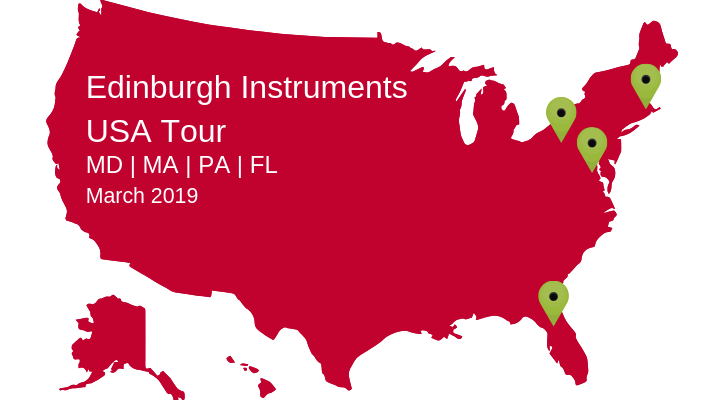 We are excited to share that during the month of March, we will be at 3 different exhibitions across the United States where we will have members of our team showcasing the latest news and products from Edinburgh Instruments. The tour kicks off in Baltimore, Maryland at the 63rd Annual Meeting of the Biophysical Society. The Baltimore Convention Center will see over 6,000 attendees, and aims to bring together leading scientists from all over the world. Biophysical 2019 provides a platform for researchers who work within the life, physical, and computational sciences, and will provide several networking opportunities throughout the course of the five-day meeting. Biophysical 2019 will take place from 2-6 March where our Head of Product and Sales Support, and our Application and Technology Specialist will be at BOOTH #501 where they will be available to discuss our latest products and applications. To arrange an appointment to meet with them contact us at sales@edinst.com. Our next stop is at the 2019 APS March Meeting in Boston, Massachusetts, where our Sales and Marketing Manager for the Americas, and our Application Scientist will be showcasing our FS5 Spectrofluorometer at BOOTH #121. The 2019 APS March Meeting will be taking place at the Boston Convention and Exhibition Center from 4-8 March, and will see more than 11,000 attendees over the course of the meeting including physicists, scientists, and students representing 28 APS units and committees. The APS meeting acts as a platform where exhibitors are able to showcase the attest ground-breaking research from industry, academia, and major labs. If you would like to arrange an appointment to meet with a member of our team at the APS meeting, then contact us at ussales@edinst.com. Keeping with the East Coast theme, our next stop will be in Philadelphia, PA for the Pittcon 2019 Conference and Expo from 17-21 March at BOOTH #1611. Edinburgh Instruments will be attending Pittcon as part of the Techcomp USA group, where we will be exhibiting our brand new DS5 UV-VIS Spectrophotometer. A member of our team will be in attendance throughout the course of the show, and will be available to discuss the latest news, events, and applications from Edinburgh Instruments. Get in touch to learn more. Pittcon is a vital resource for knowledge, and happens every year to ensure scientists and researchers, in a number of disciplines, are informed of, connected to and up-to-date on these significant ongoing findings and new instrumentation. The final leg of our tour stops in Orlando, Florida at the 2019 ACS National Spring Meeting. The ACS meeting attracts thousands of chemical professionals and provides an excellent opportunity to share your passion for chemistry by connecting with the world’s largest scientific society. ACS Spring will run from the 31st of March until the 4th of April at the Orange County Convention Center, and is expected to see over 15,000 attendees from all over the world over the course of the five-day meeting. Our CEO, Dr, Roger Fenske, will be joined by our Sales and Marketing Manager for the Americas, and our Application and Technology Specialist, and will be exhibiting at BOOTH #713. 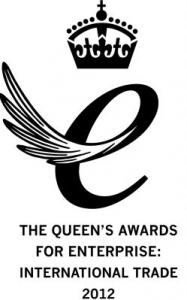 They will be showcasing our latest products, and will be available to meet with you to discuss how our research instrumentation can help you meet your requirements. To arrange an appointment to meet with them, contact us at ussales@edinst.com. To stay up-to-date with where we’ll be sign up to our newsletter via the button below, and be sure to join us on social media.